Here is one of the few playsets that was quite different from the U.S. version. It was made by the English company Palitoy. The major difference is in the shape of the plastic base. 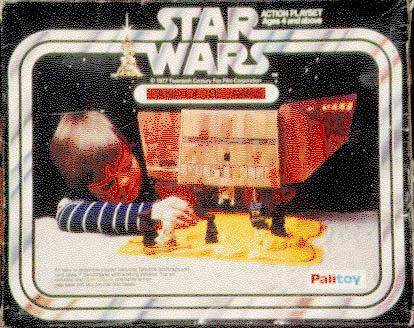 The cardboard backdrop appears to be the same as the Kenner version of this set.